You have spent months saving and planning for your magical Disney World vacation. The day arrives and you enter the gates of Walt Disney World. You and your family can’t wait to experience all the fun at the parks. 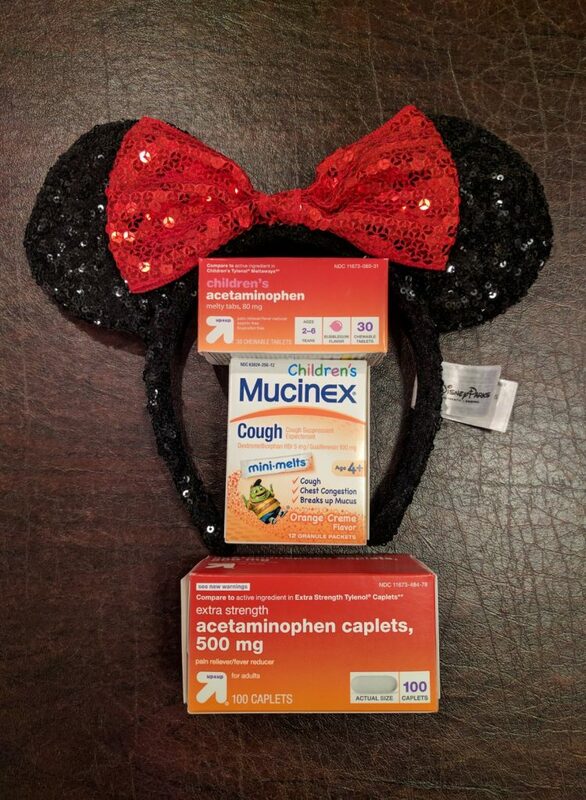 Suddenly your child becomes sick at Disney World. Now what?! We have unfortunately dealt with this exact scenario three times on our Disney World vacations. Once with my daughter, Elizabeth, when she was 4 years old, a different time when my mom and I both got sick during our trip, and our most recent visit where a cold took out two of our group. If you are currently in the parks head to a first aid station. Nurses are available at the first aid stations during park hours. These nurses can provide bandages or over-the-counter medications for a minor illness. If the illness is more serious, they can manage immediate care until an ambulance arrives. We visited with the nurses at Magic Kingdom to learn more. That facility has two treatment rooms and several bays for ill patients. The nurses were well versed in patient care and extremely nice, too. If you are at your Disney World Resort call down to the Front Desk. The front desk is your friend. They can walk you through available options. This can include area urgent care centers, hospitals or physicians that can make a “house call” to your room during certain hours. I know that sounds a little crazy, but trust me. You would rather plan ahead and not need it than find yourself in a panic at 2am with a feverish child and no medications. I always make sure I have any prescription medications we need daily or even those that are “as needed” (in the case of a rescue inhaler or Epi-Pen) packed in our carry on luggage. I also pack acetaminophen (Tylenol) or ibuprofen (Advil, Motrin) in adult and children doses. If you have children that still take liquid acetaminophen or ibuprofen I recommend that you pack these medications in your checked luggage (in two ziptop bags). Although you can bring liquid medications larger than 3.4 ounces in your carry-on they will require extra security screening. Find out more specifics about this Transportation Security Administration policy here. Mucinex Mini Melt Packets (order on Amazon) are also always in my carry-on luggage. This ensures I have a cough and cold medication for anyone in our family 4 years old or older. As with all over-the-counter medications make sure you read the instructions carefully before using for yourself or others. Always consult with a physician or pharmacist if unsure about any information on the label of the medication. If you didn’t pack any medications the gift shop has some basics like Tylenol or Advil for both children and adults. They sometimes also carry one cough or cold medication and something like Claritin. Get your rest and make sure you take care of your health before you leave. Being well fed and rested can help you be more able to fight off an illness. And you don’t want to be tired when you arrive for your trip anyway! 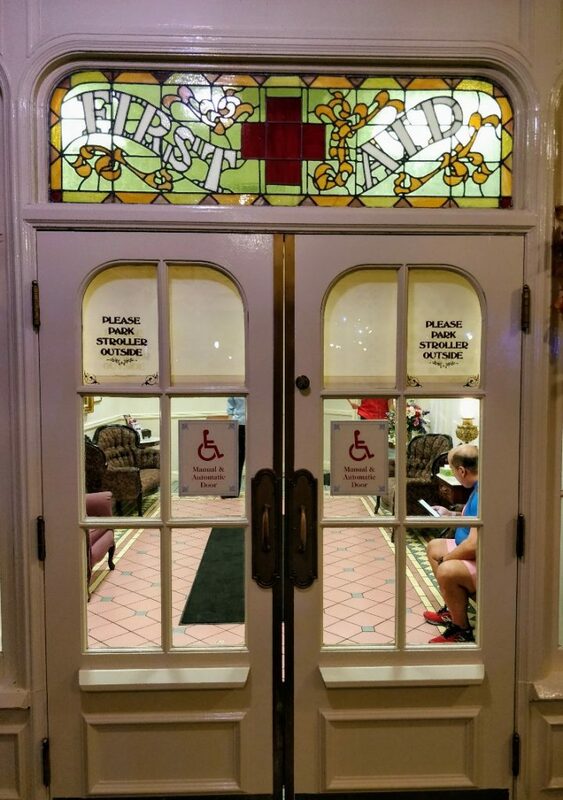 Many illnesses at Disney World can be minor inconveniences if handled properly. Although I hope you never have this experience when visiting Disney World at least now you know available options and items to pack just in case. 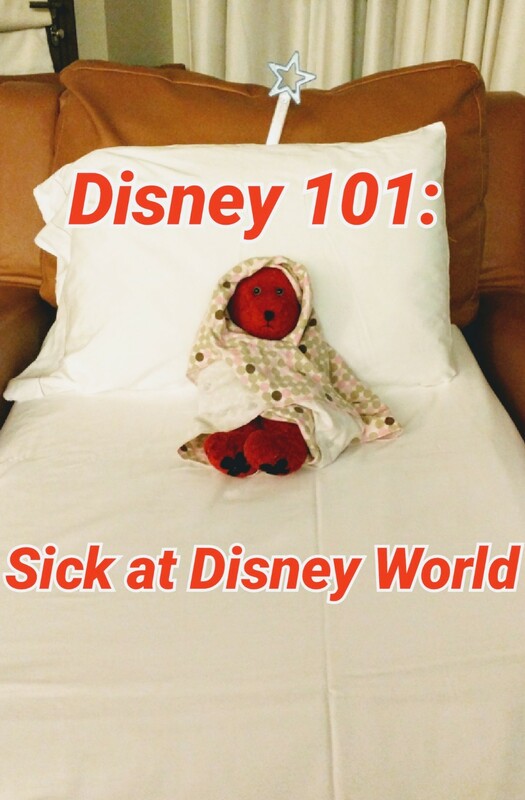 Having a sick family member at Disney World can certainly be disappointing. Don’t be afraid to ask for help! In usual Disney fashion the staff will do all they can to assist you in finding the care you need. I got a flu shot in September, we left the high desert of CA wher we live, by San Antonio, TX my throat was bothering me a little and swollen ankles. In addition to traveling cross country my husband who is an amputee, had his two wheel chairs, and we had packed for a variety of weather. Our Outback was packed for any contingency. By the time we got to Florida, I had Brohnchitis, swollen cankels! The DR wanted to admidt me! But no…we pushed on! The only ride in Walt Disney World was the Enchanted Tiki Room. Jungle Cruise they made us wait 45 mins. Until we left for our reservation. Take out Traverlers Insurance! We did not. I did not get my ankles back till PA! My mom felt sick at Hollywood studios. We went to the first aid and they said she was having a stroke and called and ambulance. About 10 office personal came 4 of them took my 3yr old aside and kept her company while the other talked to me. They gave my daughter and I a ride to the hospital and voucher to come back. Lucky is was not a stroke but bells palsy. I was so thankful for the top notch service we received. Thank you for sharing your experience! I’m glad that your mom was okay and that the cast members did such a good job handling a difficult situation. You are absolutely correct! I personally avoid bringing medicines in larger quantities (if possible) since they do require additional security screening. Thank you for the reminder! My son recently had an allergic reaction to peanuts whilst onsite. We gave him his epipen, but he still had to have emergency treatment. A cast member called and an ambulance was there immediately. The manager of Coronado springs was outstanding at distracting my little one from what was going on with his big brother and the manager of the Minnie van service accompanied us back to our hotel. The care was absolutely superb. One tip is though, if you need an ambulance, get a cast member to call. Then you get one from one of Disney’s 4 ambulance centres. If you call 911 from your phone, it comes from Celebration (15 minutes away). Happy Disney holidays, all! That’s a great tip! I’m glad Disney did a good job of handling a difficult situation. Thank you for sharing your experience! I’m so glad your son is ok. Thank you for the tip about ambulances. How scary. My daughter is allergic to peanuts and eggs. We are planning our first trip there this year. Would you mind sharing any circumstances you feel comfortable with about what caused his reaction there? Thanks so much.